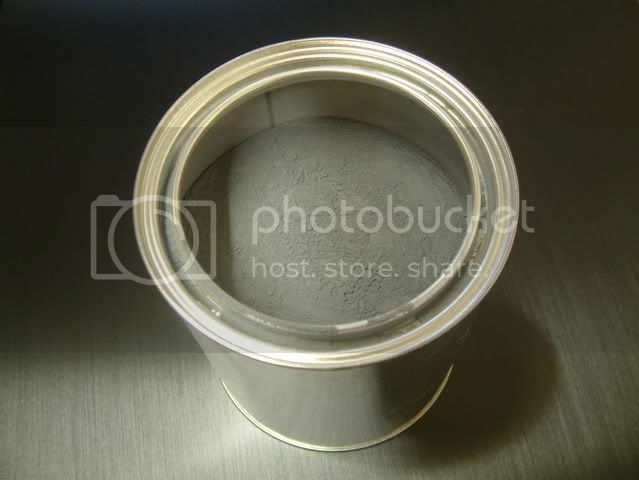 Single-stage "Chrome" powder, who makes it? I see ****wood selling it. I don't see it in Tiger or DuPont's selections. Anyone know? I'd really like to have it on-hand at the shop. Re: Single-stage &quot;Chrome&quot; powder, who makes it? I believe NIC (Prismatic Powders) has one as does Powder Buy the Pound. Please don't be fooled by marketing ploys - there is no such thing as single stage chrome powder. All chrome powders can be used as a single stage - but they lack proper UV protection and WILL oxidize over time. If you look at the web site referenced in the last post, they recommend putting a clear coat over their "single stage". How can you call a powder "single stage" and yet recommend that you clear it It's marketing jargon, and it's deceptive. All metallic powders should be clear coated for best results and durability. The metallic flake in these powders corrodes if it's not protected. I was going to post that same info concerning single stage chromes, but when I tell people they need to clear the ss chromes it starts a big ****'n match. I personally clear all metallic powders, period. yeah, I saw that side note later. Pretty lame, thanks guys! NIC also recommends a clear. when you say clear coat what method do you mean? regular old fashion compressor and paint gun with liquid clear coating paint? No, there are various clear powders to choose from. I see here they also recommend a clear coat on their single stage chrome...I have used both the SS chrome and the Ultimate chrome from them. They Ultimate chrome is the best I have seen yet, even better then NIC's so I quess I will stick with the Ultimate Chrome .. I am just getting into powder coating and need some help. Just courous as to what is the most durable clear coat to use on the caswell extreme chrome powder. I just ordered the extreme chrome and didn't know at the time that I needed clear. They are all about the same durability - our Super High Gloss Clear seems to be the most popular. Caswell stock both the Super Chrome and the Xtreme Chrome. Judging by the submitted pictures, the "Xtreme Chrome" looks to be more shiny & chrome-like whereas the "Super Chrome" looks more of a bright silver. Can anyone confirm this before I order some in? EDIT: Also, whats with the massive difference in price between the two? Last edited by marcus000; 10-30-2008, 09:52 PM. Just took delivery of some Xtreme Chrome powder, looks like this in the tin. This is caused by under cure of the chrome coat. Double your cure time and the problem will be solved.